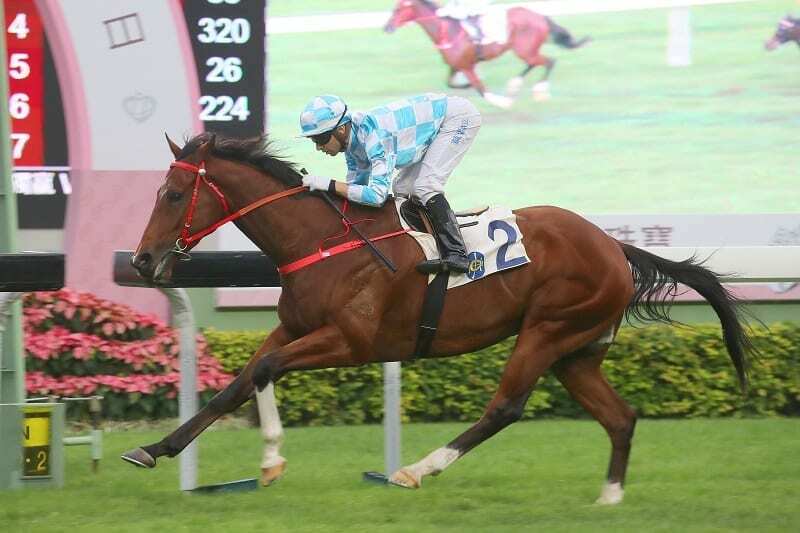 Beauty Generation In Gear For Stewards' Cup | Hong Kong News (1600m). As workouts go, it looked good enough: not obviously exuberant, not blow-me-down sensational, but most certainly the display of a horse in peak form, ticking along powerfully and without undue exertion into his next assignment. And what the eye could not see, the hands and legs of the work rider could feel. “It’s the first time Romain (Clavreul), who rides him every morning, has been on him out on the grass and he just said he felt amazing,” Moore said after his “French riding boy” had delivered an entirely upbeat post-gallop assessment. Beauty Generation started his workout at the 1800m point and galloped 800m in an easy 53.9s (28.3, 25.6) before slowing into the turn and easing down to a walk for his return along the dirt track’s back side. By the time the six-year-old reached Moore at the all-weather loop’s exit tunnel he had a swagger to his step, his head bobbing mischievously. “That’s how we want him going into another Group 1 race,” the trainer said. “He’s going into the race in perfect shape, if not better than he’s ever been. He’s relaxed in his work, he’s a happy horse and we couldn’t be happier. “He didn’t hang at all in that gallop; he was shod on Monday and everything went well with that,” he added. Hong Kong’s Horse of the Year will this weekend attempt to achieve what he could not accomplish 12 months ago – a Stewards’ Cup victory straight off an early December win in the Group 1 Hong Kong Mile. But Moore is not worried about the six-week break since his last race, with his charge aiming to go five races unbeaten this term. The world’s top-rated specialist turf miler will face only five opponents at the weekend but one of those is a new rival, a horse being touted as a potential star in his own right, the John Size-trained Conte. And while Beauty Generation has made his reputation as an outstanding miler with front-running displays, Moore is not worried about the prospect of an opponent taking on the bay for the lead. “Southern Legend might come and take us on but Beauty Generation can just cruise inside of him or outside or whatever,” he said. Beauty Generation is currently rated 127, the equal highest in Hong Kong history alongside Moore’s previous mile champion Able Friend. On Wednesday (23 January), the International Federation of Horseracing Authorities will release the 2018 LONGINES World’s Best Racehorse Rankings and the Hong Kong Jockey Club has made a series of 60-second videos to coincide with their star galloper’s impressive rating. Those videos will premiere across its social media channels, telling the Beauty Generation story from the perspective of the people closest to the horse: Moore; owner Patrick Kwok; the champion’s mafoo (groom); jockey Zac Purton; and the Jockey Club’s CEO Winfried Engelbrecht-Bresges.